Anne Brit from Norway was only 39-year-old when she was diagnosed with ankylosing spondylitis and has since 1989 felt the painful symptoms on her body. Her quality of life decreased and the pain just got worse, which in 2004 ended her on 100% disability pension. After starting on the Pure Arctic Oil it has fortunately turned for Anne Brit who now can enjoy her retirement with her children, grandchildren and her husband, Svein. To me it means a lot to be active and social. I love to go for walks and for many years we had a mountain cabin and I was in my happy place when I could go for long walks in the great outdoors. After I got ankylosing spondylitis I was heavily medicated and needed large doses of painkillers to endure the worst days. At times I also had difficulty getting out of bed in the morning. My energy level was very low for many years and I could not take more than short trips before I had to rest. My blood value before I started on Pure Arctic Oil was nothing to brag about. My omega-3 index was 3.8% and my omega 3/6 balance showed that I had 14.1 times more omega-6 than omega-3 in my cells. 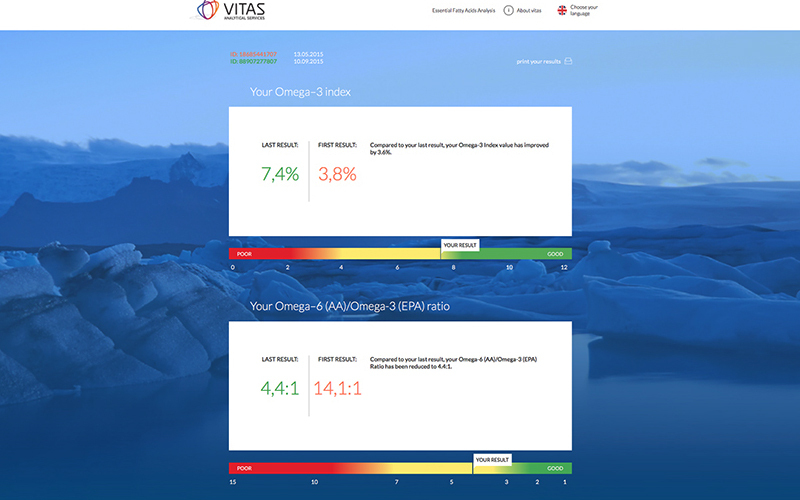 After four months of using Pure Arctic Oil I took another test and then my omega-3 index had strengthened to 7.4% and the omega 3/6 balance showed now that I only had 4.4 times more omega-6 in my cells. The oil had gotten me in within the health authorities’ recommendations by a wide margin. Already shortly after I started at Pure Arctic Oil I felt the pain subsided and I spent increasingly less and less analgesics. In consultation with my rheumatologist, I have gradually reduced the medicines I needed for my ankylosing spondylitis. This past year I have been totally medicine free and it works just great and I am almost painless. My rheumatologist said that I am so healthy that I don’t need regular controls, but told me to call if the pain came back. We have recently been on holiday at Gran Canaria and we had many long and beautiful walks including a nearly 2 Scandinavian miles walk without me getting. 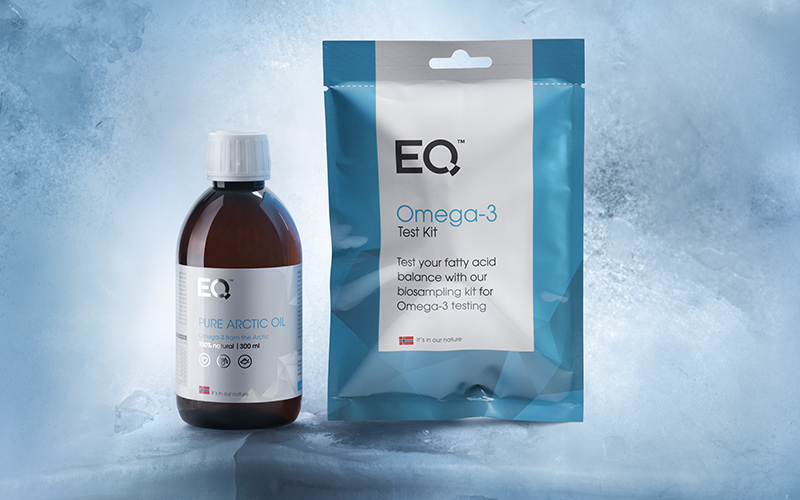 I must also tell you that for the past year I have also used EQ Essential together with Pure Arctic Oil and I have a lot more energy. My whole situation is totally changed and I can thanks to Eqology look forward to an active retirement period together with the family. My niece has got a clear message from me that I’m never going to stop using Pure Arctic Oil.